Droughts happen when rain insufficiency hits a place for a long period of time, hence causing an acute water shortage. Though often confused with the dry spell, droughts often last longer and are more dangerous. Prolonged drought can cause a serious economic crisis while also posing threats to the human population and other living creatures as well. In such a case, a country’s agricultural sector usually suffers the most—leaving people battling with food insecurity. Droughts are usually very unpredictable due to their slow nature of development. However, simple signs like reduced rainfall during rainy seasons can be an indication of a drought build-up. Other possible signs of drought include unusually extended periods of sunny weather, reduced water levels in lakes and other water sources, and the yellowing or wilting of plants. As we already discussed, droughts occur when there is an insufficiency of rain and moisture in one area. This is usually caused by an unstable ecosystem and environment. The more that greenhouse gases saturate the atmosphere, the more intense global warming becomes. Global warming, or climate change, is a major causing factor of droughts. It’s unfortunate that human activities contribute to the emission of greenhouse gases, which in turn cause the abnormal elevation of global temperatures. Higher temperatures will obviously lead to dryness and an increased rate of moisture loss from water sources, as well as in the soil. This directly contributes to dry conditions, drier weather, and of course, droughts. You may not know this, but trees and forests are very vital when it comes to rain formation. This is because trees (and other plants) help release moisture into the air through the process of transpiration. During photosynthesis, trees absorb water from the soil through their roots, and use that water to create food. Any excess water that was absorbed by the tree gets released back into the air through their leaves. This process, which is known as transpiration, adds moisture to the air. This helps circulate water through the water cycle faster, and contributes to more rainfall. When trees are brought down, we not only experience a reduction in the amount of rainfall but also increased amounts of carbon dioxide in the atmosphere. These conditions lead to increased temperatures, causing the drying up of more vegetation. This, in turn, contributes to a never-ending cycle that just leads to even drier conditions in the deforested area. 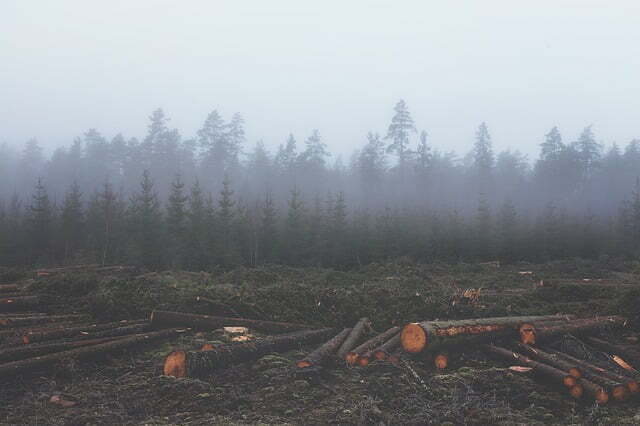 Eventually, deforestation will bring drought to the local area. It’s clear that droughts have a devastating effect on ecosystems. And, in addition to the environment, droughts affect many aspects of human livelihood as well. Humans rely on natural ecosystems, and if they’re harmed, we are too. 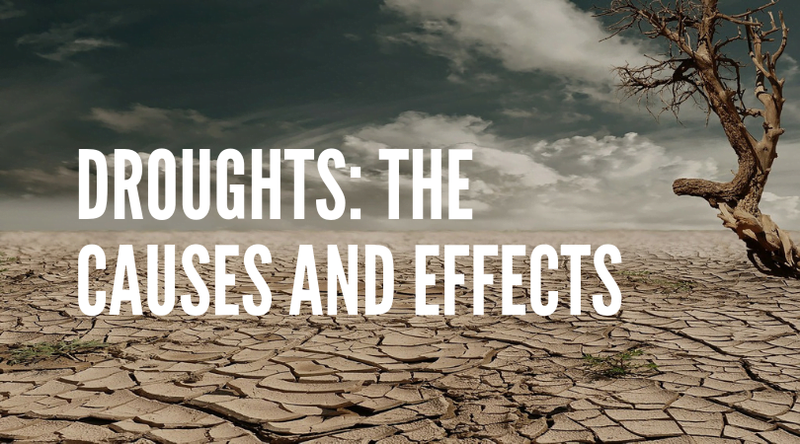 The following are some of the effects of drought on humans. 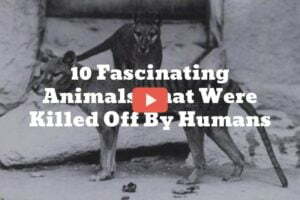 When drought sets in, human beings in some parts of the world are forced to share the few available water sources with their livestock and cattle, and some desperate people will even try to drink water intended for irrigation purposes. In most cases, this leads to water contamination and hence the outbreak of diseases like cholera. It’s natural that the human body requires adequate amounts of water to function efficiently, and so lack of water can lead to dehydration and other more complicated health problems like kidney failure. Low moisture content in the soil equates to low food production, which eventually leads to food insecurity. Note as well that a large percentage of the world’s population depends on agriculture for their sustainability and economic growth. Since lack of water and pasture can lead to the death of farm animals, droughts can expose these communities to hunger threats and poverty, considering that they greatly depend on cattle for food and livelihood. During a drought, there will obviously be a reduced local water supply. This could lead to drinking water shortages and threaten the lives of people living in drought-affected areas. A reduced water supply also affects the normal operation of hydropower plants since they will be forced to operate below their normal capacity. This, in turn, has a negative impact on electricity users as they may incur more costs with regard to their energy bills. The government could also suffer in revenue collection since companies will no longer be able to pay taxes as required. Though various other measures do exist, fighting climate change (and preserving ecosystems) remains the most effective solution to reduce our susceptibility to extreme weather conditions like droughts. This basically means cutting down on carbon emissions and preserving the environment—which in turn preserves water sources and also prevents global warming. Conserving water during times of water shortages can reduce the demand for water, and helps mitigate the effects of droughts. Below, you’ll find 7 ways in which you can save water, and help solve this problem. Do you leave the bathroom water running while you brush your teeth or lather up your hands while washing them? If so, you are wasting about 2.5 gallons of water per minute. If you brush your teeth for the recommended 2 minutes and twice per day, you waste 5 gallons of water each brushing for a total of 10 gallons of wasted water. If you must water your garden, do so early in the day. The early morning hours are normally the coolest temperatures of the day. 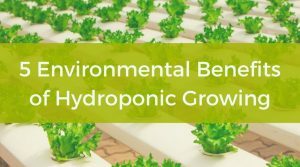 This means you’ll cut down on water lost to evaporation as you water your garden plants. Older toilets consume as much as 6 gallons of water per flush while their newer counterparts consume only 1.5 to 2 gallons per flush. Cut your consumption even further with a low-flow shower head which reduces wasted shower water by half, from 4 gallons per minute to 2. 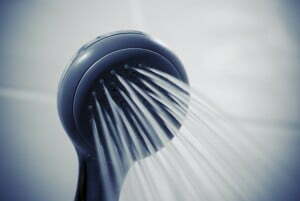 Now that you have a low-flow shower head, you can save even more by cutting down the amount of time you spend showering. Even one minute of showering time saved adds up. Here’s the math: 2 gallons saved (for one minute) x 7 showers a week = 14 gallons of water conserved each week. Tie a rain collection barrel into your downspout. You’ll capture all the rain that pours from your rooftop via your gutters and conserve that water until you’re ready to use. Or, you can just put out rain-collection barrels whenever it rains, and you’ll collect that water for future use. If you notice leaks from any of your pipes, address the issue and have it fixed ASAP. Of course, even the smallest of drips can add up to a lot of water wasted. Until the plumber arrives, place a bucket under the dripping pipe to collect the water and use it to water your houseplants or flush the toilet. Save running by the dishwasher only when it’s full. Each time you run the dishwasher, you use 4 to 6 gallons of water. Droughts are a sign of a stressed and imbalanced ecosystem. 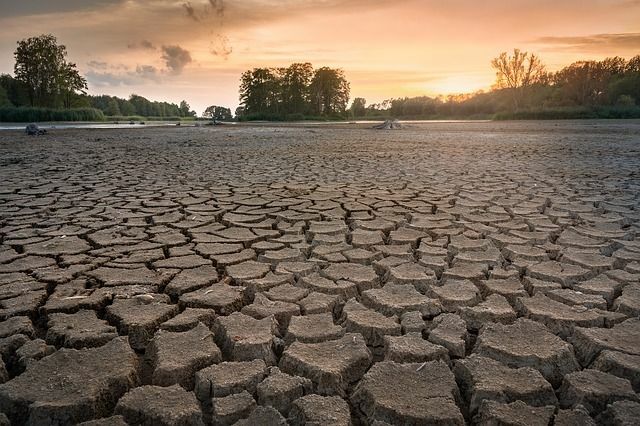 If we each take the time to really understand what causes drought and acknowledge the consequences it can have on mankind, we can begin to become part of the solution, rather than continuing to add to the problem. The at-home tips for conserving water are actionable, easy to implement, and necessary. And, along with saving water, you can also try to reduce your carbon footprint which reduces climate change, the root cause of droughts. We can only begin to offset the damage if every person becomes part of this change. Deborah Tayloe is a freelance content writer and blogger who often contributes to GutterBrush. When she’s not writing, she’s an avid gardener who loves to grow her own vegetables. 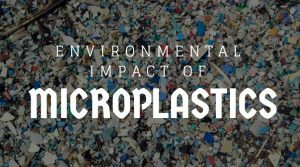 How Do Microplastics Affect The Environment?